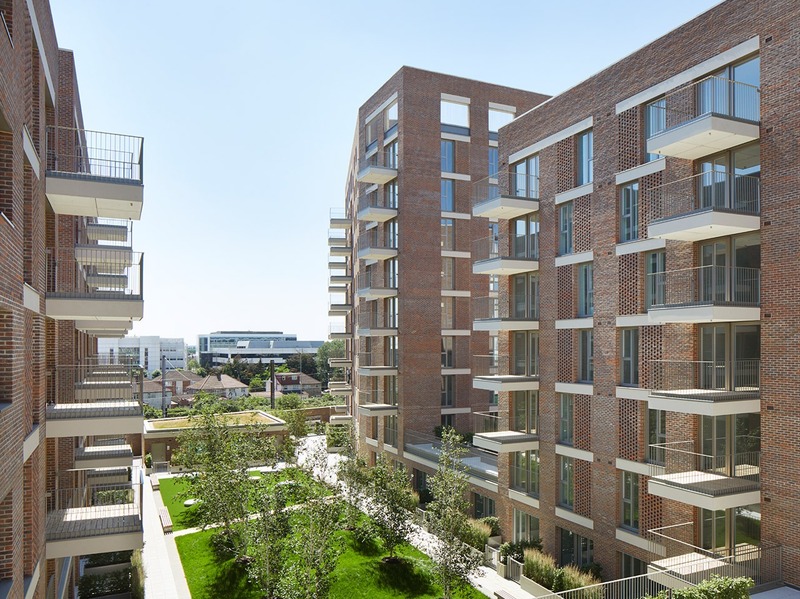 The four ‘warehouse’ blocks of Material Store rise above a podium and surround an oasis of private patios and a large common garden. 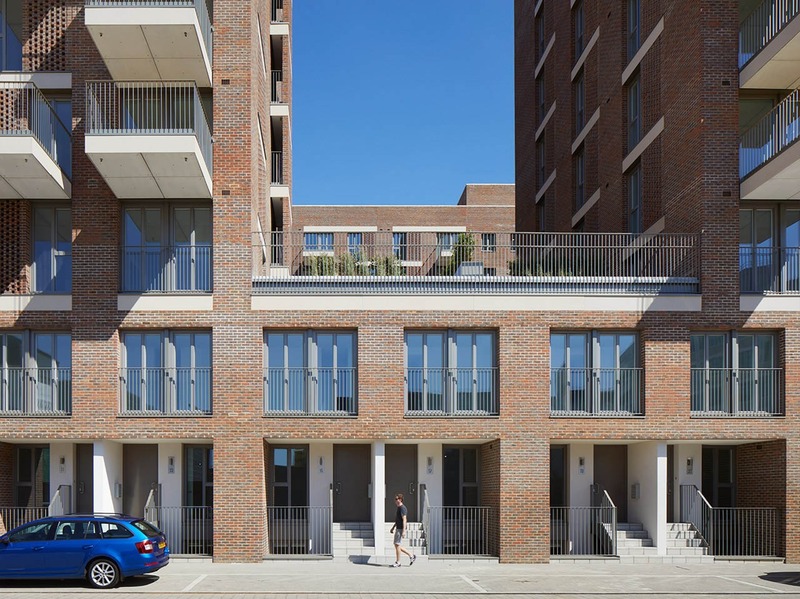 The parking below the podium is concealed behind 3-bedroom town houses that animate the street with their steps and ‘front’ doors. 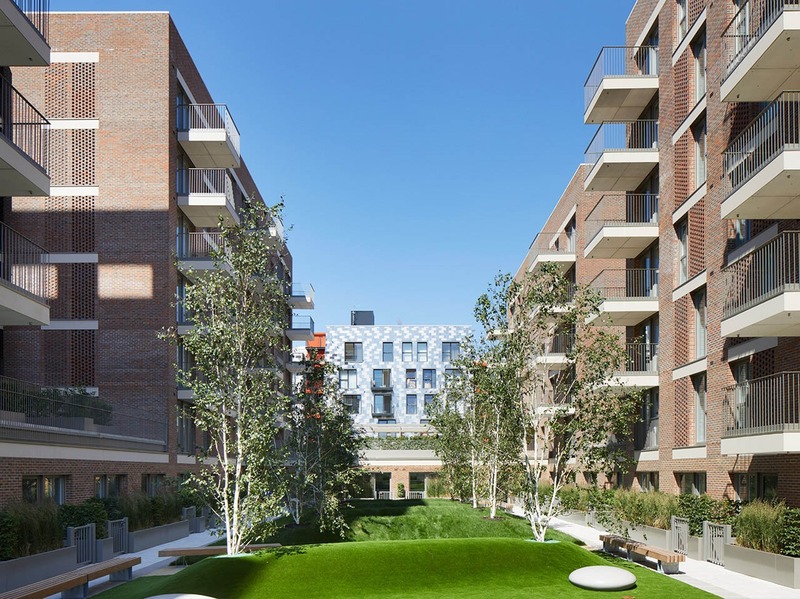 The roofs of all fours blocks are landscaped as communal gardens. 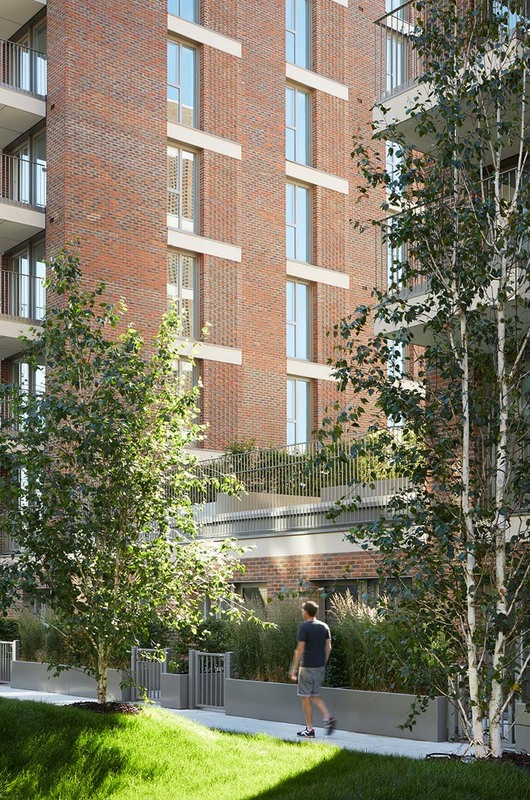 The extended articulated parapet to the tallest block creates an outdoor room and emphasises the building’s position as the tallest element of the masterplan. 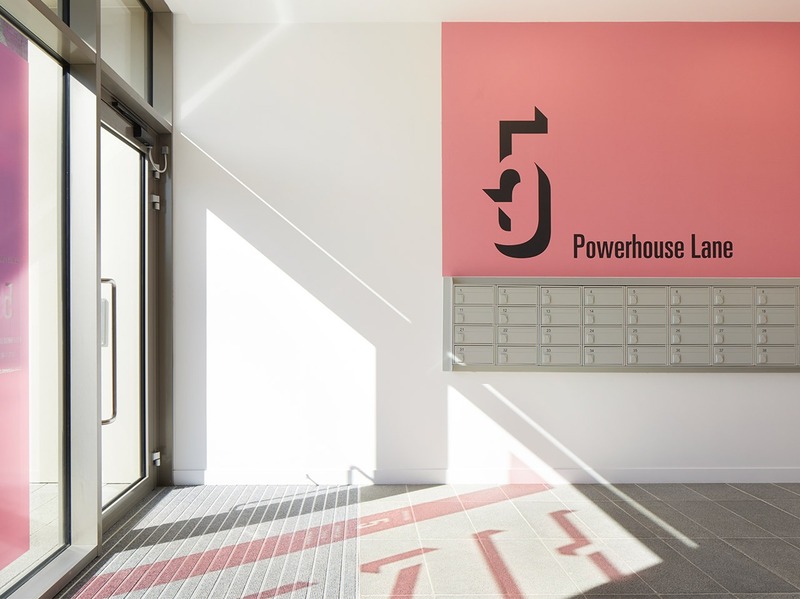 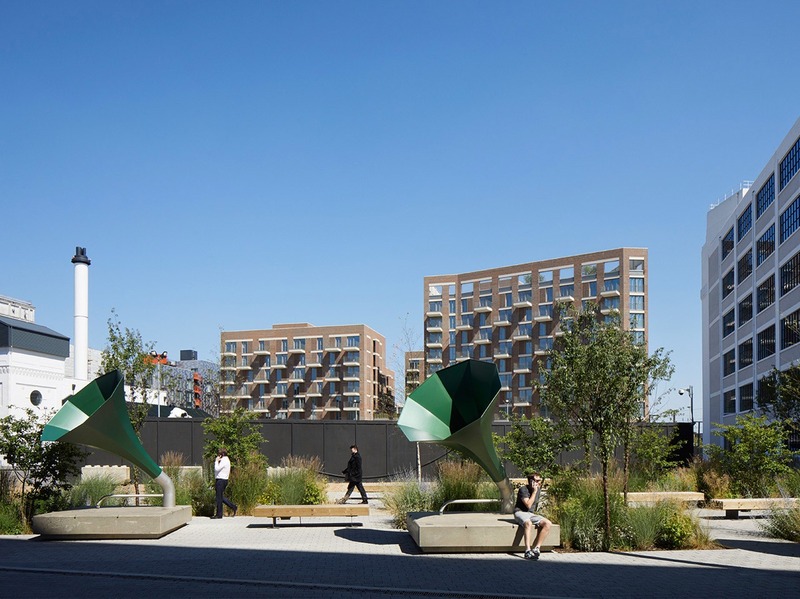 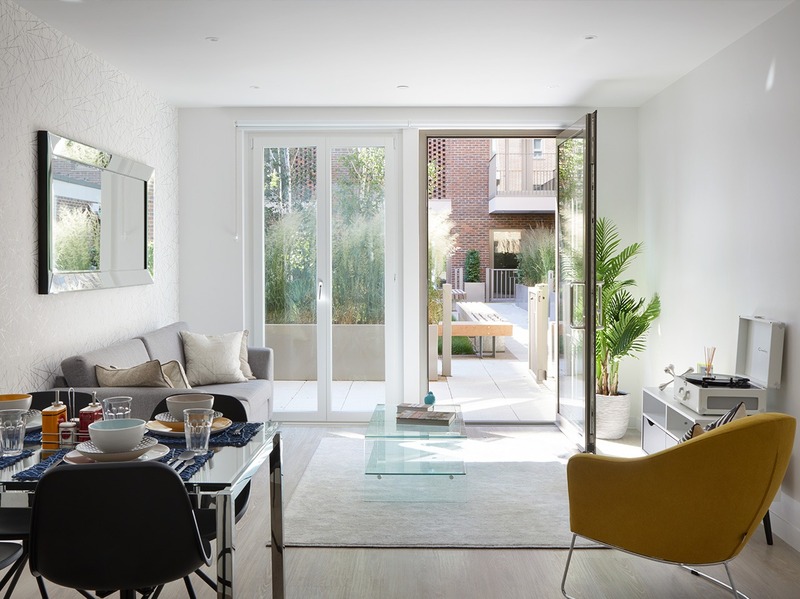 The 189 build-to-rent homes enjoy generous shared facilities that promote a sense of community in the context of private rented sector (PRS) tenure. 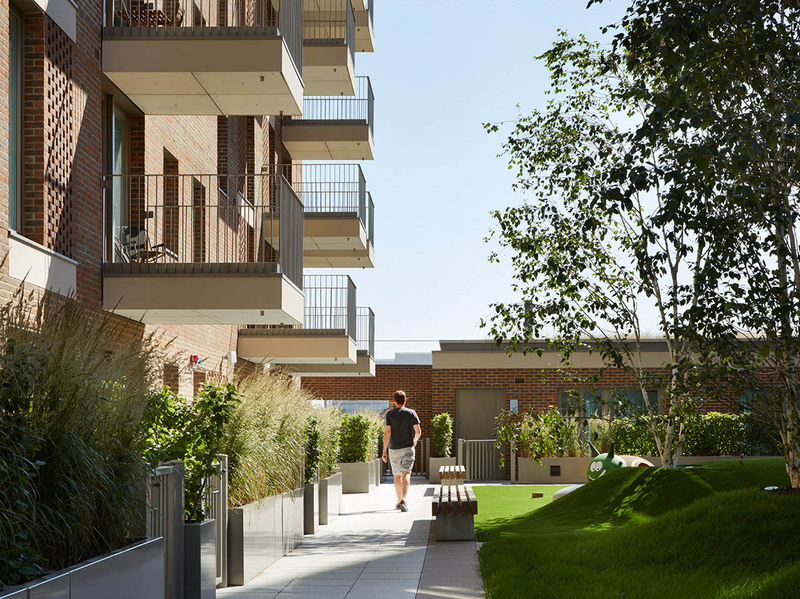 These include play areas, a function room, picnic tables, allotments, a concierge service and an onsite maintenance crew. 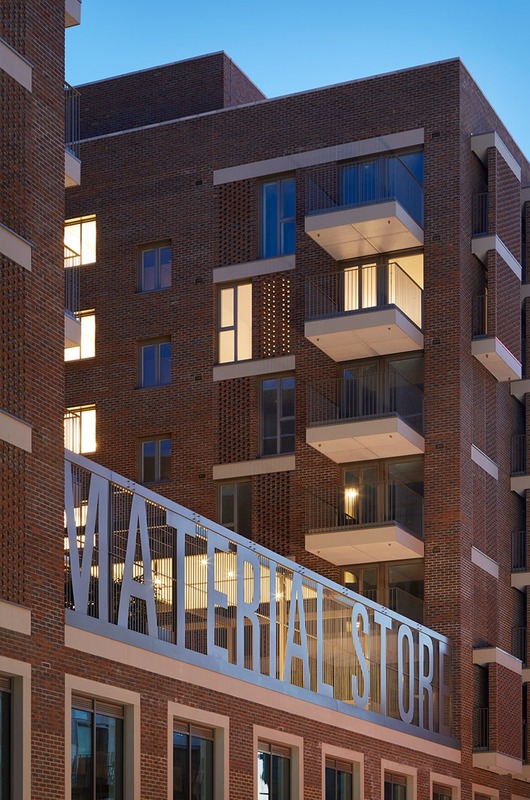 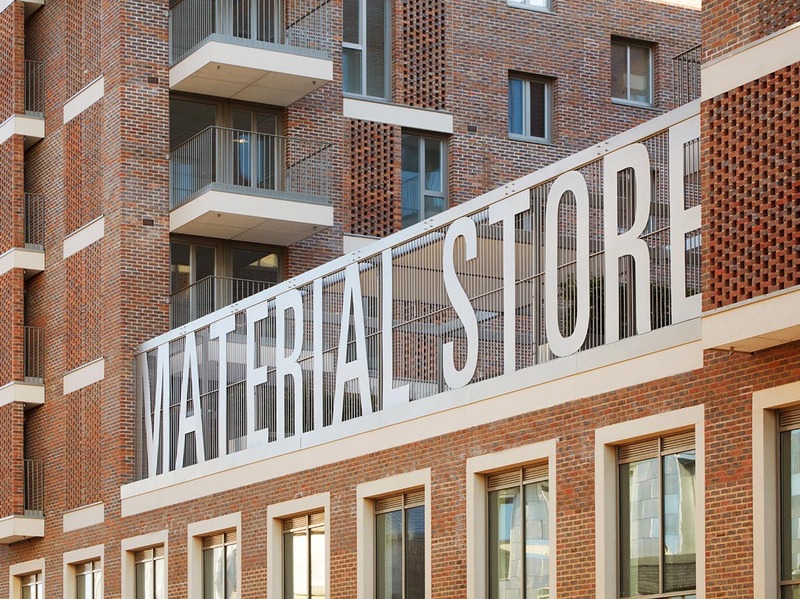 Commercial uses, which front onto the spine street, are intended for sharing with the wider community.